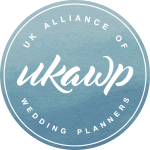 The UKAWP is not just for wedding planners. We offer a range of benefits, a vibrant community and a consistent network of support for professional UK wedding suppliers across the industry. Membership is open to wedding suppliers who have been in business for a minimum of 12 months and who abide by our Code of Business Practice. If you’re looking to make connections with like-minded industry peers and planner members, and you’re keen to foster a spirit of community and productive partnership then we’d love to hear from you. Find out more about the variety of benefits and support on offer to our supplier members below. Rather than an unscreened listing of advertisers, our membership is based on the highest standards of excellence and professionalism, with members earning inclusion instead of simply paying for it. The application & joining fee is £100 + VAT (which covers all admin relating to checking references, insurance and loading you onto our directory) and needs to be paid when submitting your application. Please review our Code of Business Practice first before submitting your application. Applications for membership of the UKAWP are now closed and will reopen on 29th April 2019 for two weeks only. Please register your interest below to go on the waiting list. 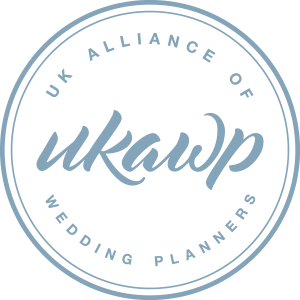 "Becoming a member of the UKAWP was one of the best decisions I made as a wedding planner. I've gained so much from being associated with such a great group of professional wedding planners. Bernadette and Sandy are so lovely and I cannot recommend membership more to anyone who is serious about building their profile in this business." "I have been a member of the UKAWP for three years now, and I can’t imagine not being one. I love the support I receive from Sandy & Bernadette and from my UKAWP colleagues. Being a member of an association that has such strict entry requirements gives me more credibility, and gives my clients peace of mind." "Being part of the UKAWP is an honour. We love sharing in such a beautiful community. What attracted us in the first place is that everyone is screened before being accepted. Insurance documents, referrals from clients - it’s not just a money making scheme. This ensures that everyone who is a member is of the highest standards. We have grown our network, making great friends within the industry. We get so much support for our business across social media too. It clearly shows how much Bernadette genuinely cares about the members and the reputation of the UKAWP."